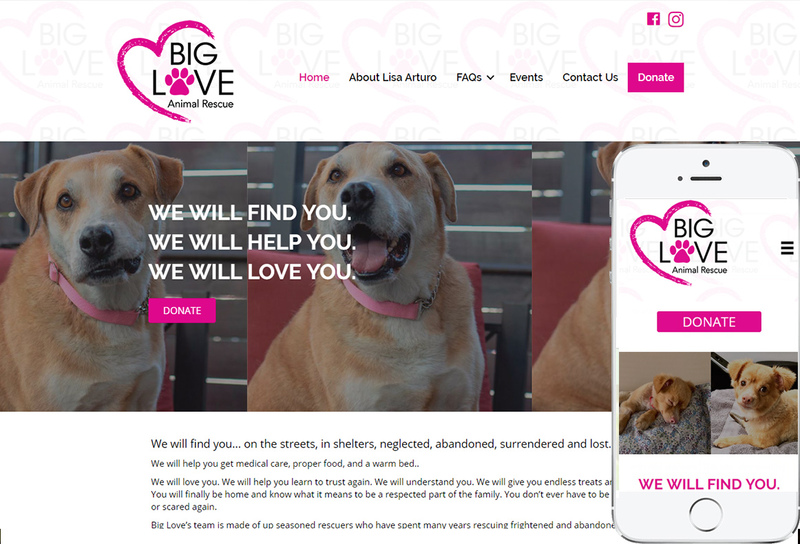 Big Love Animal Rescue is a new rescue organization founded by animal activist Lisa Arturo in Los Angeles. I love her motto: We Will Find You. We Will Help You. We Will Love You. Lisa is a returning client who came to me to build the site for her new venture: her very own animal rescue organization. She does amazing work with animals in Southern California. Please donate to this great cause today!